YONI – is the holy place of female desire, WOMB – which gives a new life, a glorious source of the woman’s greatest strength. Buddha called YONI – the gateway to nirvana – because it involves very important aspects of consciousness. Yoni can tell us a lot about life, especially about our intimate relationships, first – if we let her talk and secondly if we to listen to her. We will begin to approach her with a deep respect, admiration and appreciation. 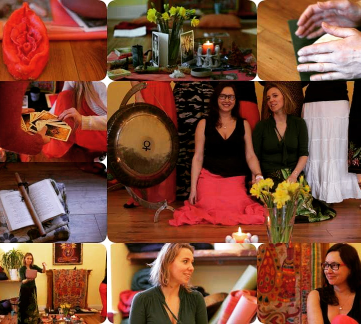 During this workshop we will begin the journey of getting to know our YONI, deepening the consciousness of Yoni. All exercises are based on ancient Tantric and Taoist meditations and techniques …. each subsequent exercise will take you deeper into the experience of unity with Yoni and better connection. During the workshop, Marta will conduct a sound session with Tibetan bowls, gongs and singing. Harmonious sounds play a role in the self-healing process, help to change unfavourable states of anger, anxiety, sadness and stress into a state of relaxation and harmony. The session heals and provides a mystical experience. This workshop will be facilitate with Marta Toropow and Malgorzata Rutkowska– Qualified Tantric Healer and Trainer ,Tantric Massager and Energy Worker. please pay by pay pal or contact me for bank details to transfer deposit money .